Loved it and loved that you were there with me to celebrate!!! What’s next? Hmmmm…..
Only time and Groupons will tell! How could anyone not want to experience the evening that you detailed, (so very well, too!). I could see myself posing the same concerns…then ordering red with my smock! A few weeks ago, I went with girlfriends to a similar place. 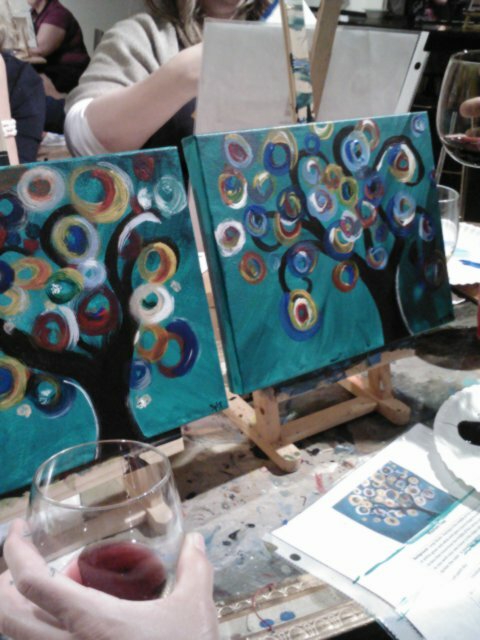 We painted wine glasses. It was a blast. One of my glasses is atrocious, but one is nice. Even the atrocious one reminds me of friends and a good time!